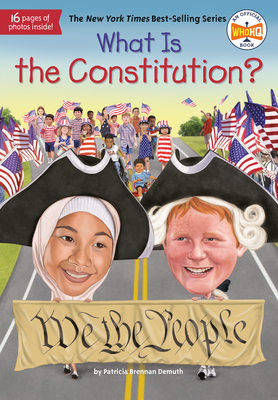 We the people at Who HQ bring readers the full story--arguments and all--of how the US Constitution came into being. Signed on September 17, 1787--four years after the American War for Independence--the Constitution laid out the supreme law of the United States of America. Today it's easy for us to take this blueprint of our government for granted. But the Framers--fifty-five men from almost all of the original 13 states--argued fiercely for many months over what ended up being only a four-page document. Here is a fascinating behind-the-scenes look at the hotly fought issues--those between Northern and Southern States; big states and little ones--and the key players such as James Madison, Alexander Hamilton, and George Washington who suffered through countless revisions to make the Constitution happen. Patricia Brennan Demuth is the author of several Who HQ titles, including Who Was Bill Gates?, What Was Ellis Island?, What Was Pearl Harbor?, and Who Was Charlie Chaplin? Tim Foley is a freelance illustrator who currently lives and works in Grand Rapids, Michigan.